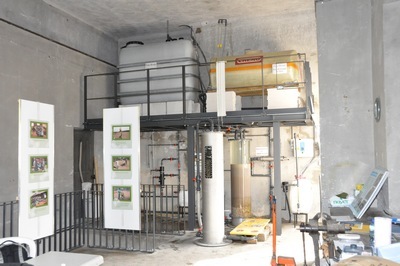 In the former workshops of the Vessy station which the Services Industriels de Genève kindly put at our disposal, the association operates a test plant using water from the Arve to test the effectiveness of the filtration process. Also, on these premises, the pre-assembly and testing of facilities is performed before shipment to Africa. 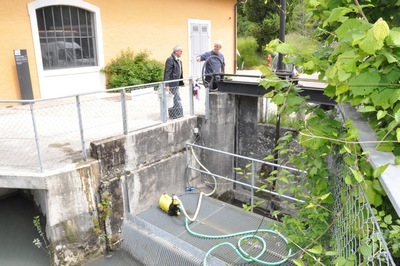 … and water intake from the Arve.